the leather pants saga – life gets messy. 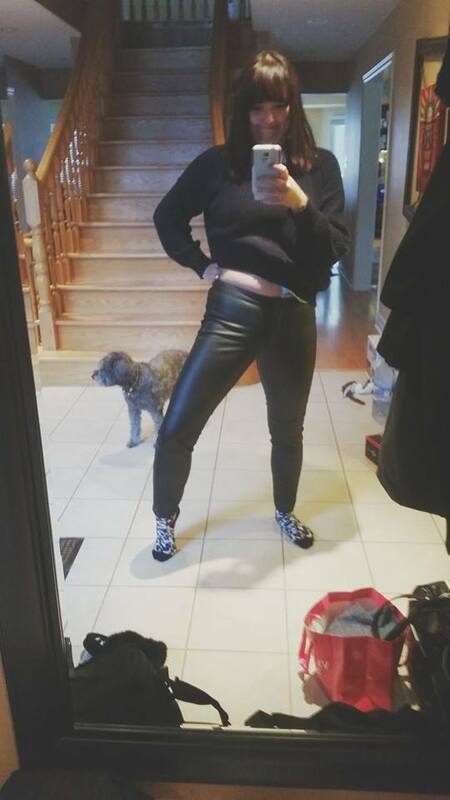 My leather pants, the pants that started it all, officially fit my body once again. Styled here with on-trend baggy sweater, leopard-print socks, and small, simple-minded dog.